I've recently completed this large commission for Patricia and Charlie Senn, of Texas. They were fortunate to travel the So. Pacific for a few months, in this large sailboat named, "Avalon". 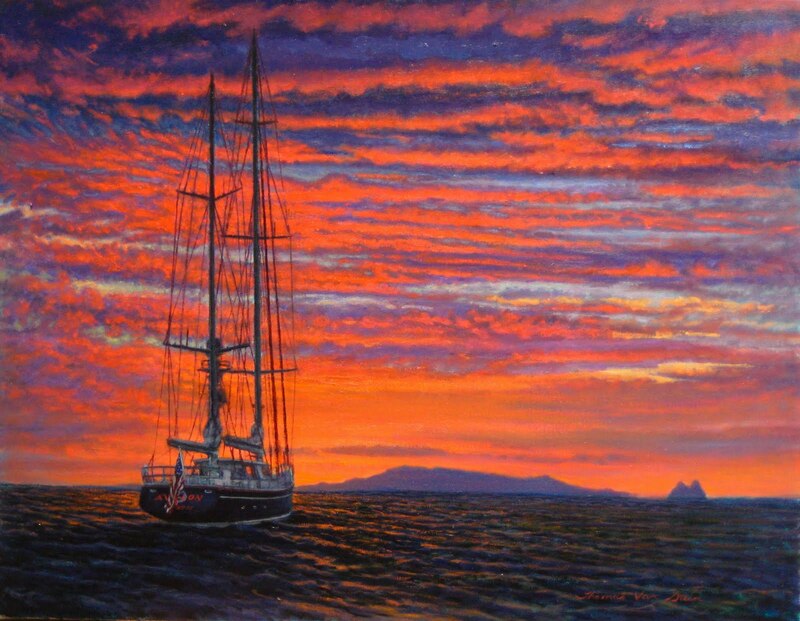 Out of appreciation for the owner of the Avalon who loaned his boat to them, Pat and Charlie commissioned me to paint his boat motoring in to Bora Bora. It would have been nice to actually experience first hand the awesome colors and light Tahiti is known for, but alas, I was restricted to the reference photos they had from their trip. 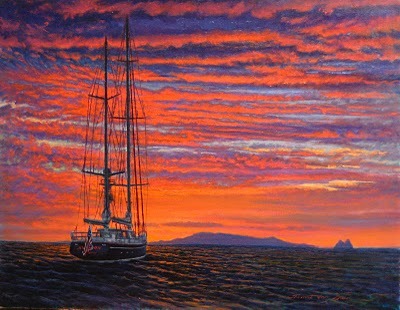 The painting was beautifully framed and presented to the owner of the Avalon on December 7, 2010. I can breath a sigh of relief as I am told it was well received, and the gesture appreciated.